There are so many wonderful things about South Florida: the surf, the sunshine. Now, a new gem has emerged that is putting South Florida's medical community on the international map. Nicklaus Children’s Hospital is the only medical facility in South Florida focused strictly on children. You may not know it, but the hospital has recently garnered world-class recognition while opening up 14 outpatient facilities across South Florida. Many of the facilities, offer walk-in clinics and house multiple subspecialists. “Outpatient centers are a new look at medicine,” says Barbara Nicklaus, co-founder of the Nicklaus Children’s Healthcare Foundation. Nicklaus, along with her famous pro-golfer husband, Jack Nicklaus, created the foundation in 2004. The mission was to meet the medical needs of children around the world. 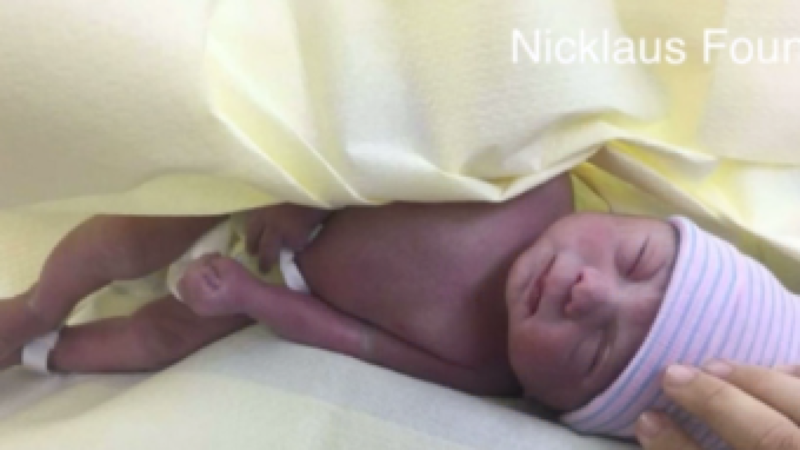 In 2015, long-standing Miami Children’s Hospital approached the Nicklaus family, inquiring about bearing the Nicklaus name. "It was a nice compliment,” Barbara Nicklaus said. “We were humbled to help them because children is our priority." Since the hospital renaming, Nicklaus Children’s Hospital has taken its place on the international stage. U.S. News and World Report just ranked it a world-class pediatric facility, and it was recently hailed for the hospital’s use of technology and innovative medical breakthroughs. Nicklaus Children's Hospital has helped children from every state in the U.S. as well as children from 117 other countries.